Our Carpet and Upholstery services INCLUDE: pre-treating, low PSI, Tru-steam system. We wont soak your carpets, WE actually clean them. An initial walk through, pre-treatment adding focus on high traffic lanes, stains, pet odors and pet spots. Our Understanding of all types of carpets allows us to use the right amount of heat to truly steam clean at the lowest psi level, so that we wont drench or soak your carpets. A neutralizing rinse is used to balance out the Ph levels of your carpet so that your carpets are not left with a dry soapy feel, in addition we dry stroke (extra extraction passes) to reduce dry time. 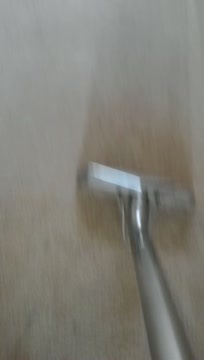 If there are heavy traffic lanes or areas that need extra attention we offer roto-scrub or use alternate techniques to ensure the best carpet cleaning possible. Most carpets clean at around 180 degrees using between 350 and 450 PSI. We try to keep our dry time between 4 and 6 hrs depending on carpet pile. Using a solution that is made especially to break down substances and stains, we then brush the fabric and use a low pressure-high heat method always cleaning with the appropriate tools for proper extraction, returning your couch, seats or chairs to or as close to its original condition as possible. All our services include a pre-treatment and neutralizing rinse that is included in the price. SEE BELOW that even carpets that have lost there lust and color can be cleaned, pesky traffic areas like in front of couches we attend to detail. If your thinking of replacing please give us a call and we can come do a free estimate even a test area to see how the carpets respond, might save you thousands of dollars and days of time. We use aggressive passes with our wand and dry extraction strokes for a deep clean and faster dry time, standard with all cleanings at no extra charge. © 2018 V.N.T. Hard Surface & Clean Carpet Services . All Rights Reserved.